For EU-shipping visit our German webpage (direct shop link). 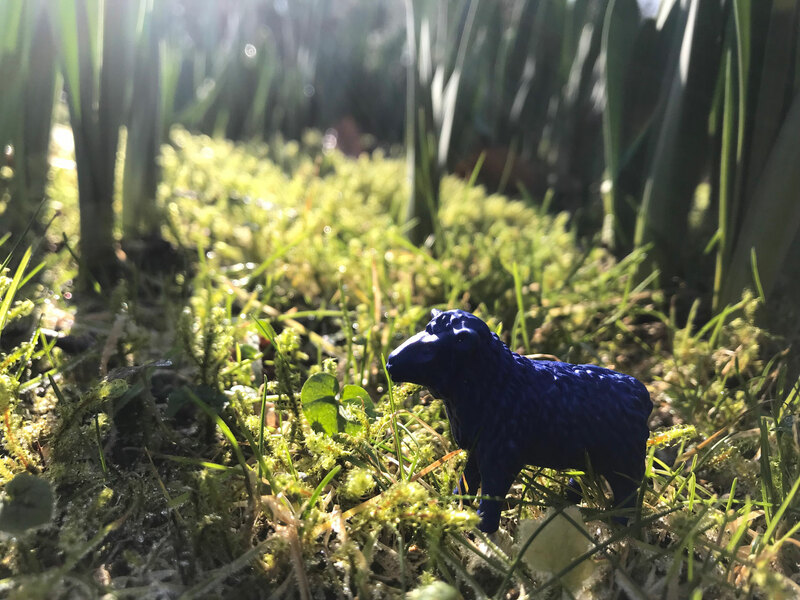 We guarantee that each of our Bluesheep is an authorized multiple of the work BLAUSCHAF (© Rainer Bonk, 2001) and painted and refinished at SBK-Werkstätten für Menschen mit geistiger Behinderung (workshops for mentally disabled people). For further information click here (unfortunately in German language only). We are of course happy to answer your queries if you wished to investigate this any further.  Handmade, authorized multiple of the original Bluesheep (BLAUSCHAF © 2001); by courtesy of Bonk-Reetz GbR). Original Size (L 68 cm x W 28 cm x H 58cm) Customized glass-fibre reinforced version (suitable for international shipping; it is not the regular version we use for short range shipping); for EU-shipping visit our German webpage (direct shop link). High density resin. UV-resistant color, applied in multiple layers. Branded as original. 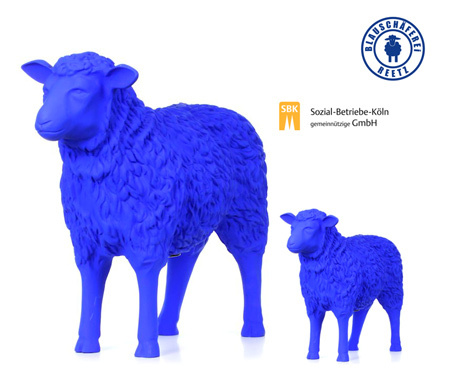 Each Bluesheep is painted and refinished in the workshop for mentally disabled people of SBK Köln gGmbH, a non-profit organization operated by the City of Cologne. 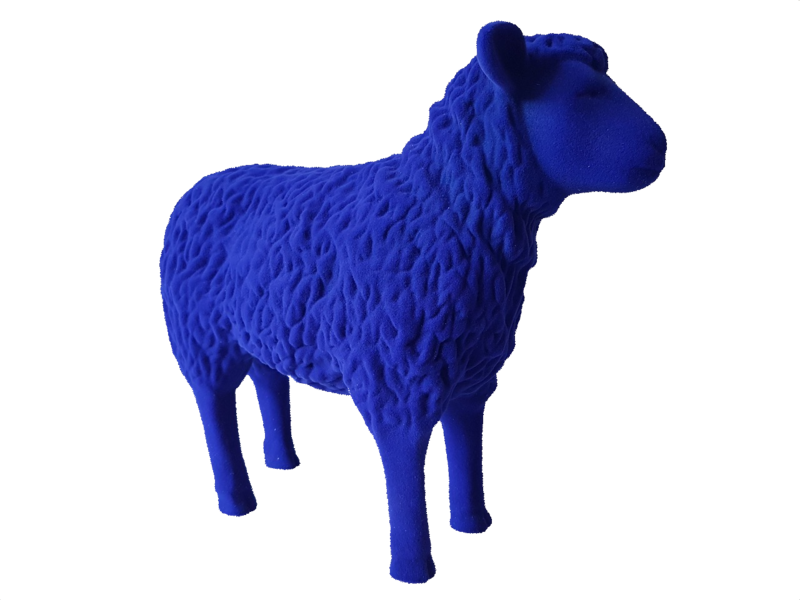 Velvet blue sheep (mid-size) made of polyester resin with velvety, soft surface. The UV-resistant, highly pigmented acrylic paint is mixed with a flocking material, which gives the fleece the velvety surface, and bonded in an electrostatic process on the surface of the sheep blank. The special nature of the thus enlarged surface provides a unique color contrast. For interior use only. With original plaque. In the shipping carton. Only while supplies last.